Barbara Bass, is Chair of the Department of Surgery at the Houston Methodist (USA). Dr. Bass has enjoyed a 30-year career in academic surgery. She served as Chair of the American Board of Surgery, the organization that certifies surgeons for practice. Her most recent project is MITIE – the Methodist Institute for Technology Innovation and Education, an education and research institute focused on retraining surgeons in practice in new technologies. Yves Frenot is Counselor for Science and Technology at the Embassy of France in the United States in Washington DC (USA). He holds a PhD in Biological Sciences and an Habilitation. 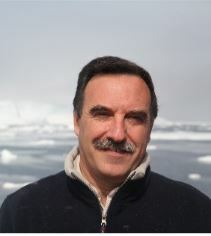 From 2003 to 2009, Yves Frenot was in charge of the scientific projects at the French Polar Institute Paul-Emile Victor (IPEV), the lead agency for supporting French scientific research in the Polar Regions. In early 2010, he was appointed director of IPEV and was therefore responsible for the implementation of the French Polar Program and manager of large polar research infrastructures, including several research stations in the Antarctic and the Arctic. Dr. Frenot’s scientific background is in terrestrial ecology and the impacts of human activities and climate changes on the Sub-Antarctic islands. Jennifer Fogarty is the NASA Human Research Program Chief Scientist (USA). She holds a PhD in Biomedical Sciences from the Texas A&M University College of Medicine. This NASA Program focuses on preventing and mitigating the human health and performance risks that humans will face during deep space exploration. Jennifer spent the early part of her NASA career as a Clinical Translational Scientist supporting Space Medical Operations with medical risk assessment and identification of new and emerging medical and performance risks. She is currently an editor of the Fundamentals of Aerospace Medicine and lectures regularly to aerospace medicine residents and medical students on space physiology and its medical implications. Hugues Berry is a Senior researcher at the French National Institute for Research (INRIA) in Computer Science and Control in Lyon (France). He holds a Ph.D. in Biochemistry & Biophysics and a Habilitation in Computational Biology. He has been an associate professor in the Biology Department of University of Cergy-Pontoise, France before moving to Inria in 2004. Since 2018, he is Deputy Scientific Director of Inria, in charge of the research field “Digital Health, Biology and Earth”. Dr Ioannis Pavlidis is the Eckhard-Pfeiffer Professor of Computer Science and Director of the Computational Physiology Laboratory at the University of Houston. His research is funded by multiple agencies including the National Science Foundation, the US Department of Transportation, and medical institutions. He has published largely in the areas of affective computing, computational physiology, and the physiological basis of human behavior. He is well known for his work on the quantification of stress and its effect on critical human responses, which appeared in a series of articles in Nature, Lancet, and Scientific Data. Dr. Pavlidis also published a series of well researched articles in science policy that appeared in Science Advances and Nature Physics, bringing a fresh perspective and generating a vibrant discussion. Philippe Cinquin is Professor of Public Health (Medical Informatics) and heads TIMC, a research Lab of CNRS and Univ. Grenoble-Alps at Grenoble (France). He holds a PhD in Applied Mathematics and is a Medical Doctor. In 1984, he launched a research team on Computer-Assisted Medical Interventions (CAMI), which led to innovative surgical practice, benefiting to more than 100 000 patients, thanks to the creation of 12 startup companies. Dr. Cinquin was the recipient of the 1999 Maurice E. Muller Award for excellence in computer-assisted orthopedic surgery, of the 2003 CNRS Silver Award, of the 2013 CNRS Innovation Award, and of the 2014 Ambroise Paré Award of the French Academy of Surgery. He has filed 42 patents in computer assisted surgery and published 147 papers. Marcia O’Malley is the Stanley C. Moore Professor of Mechanical Engineering, of Computer Science, and of Electrical and Computer Engineering at Rice University (USA). She holds a PhD in mechanical engineering. Dr. O’Malley currently serves as Special Advisor to the Provost on Educational and Research Initiatives in Collaborative Health. She is also the Director of Rehabilitation Engineering at TIRR-Memorial Hermann Hospital. Her research addresses issues that arise when humans physically interact with robotic systems, with a focus on training and rehabilitation in virtual environments. She is a Fellow of the American Society of Mechanical Engineers, and serves as an associate editor for the IEEE Transactions on Robotics and as a senior associate editor for the ACM Transactions on Human Robot Interaction. Surena Matin is the Monteleone Family Foundation Distinguished Professor with Tenure in the Department of Urology at MD Anderson (USA). He holds a MD from the Cornell Univ. Medical College in New York. He also serves as Medical Director of the MINTOS (Minimally Invasive New Technology in Oncologic Surgery) multidisciplinary collaborative program in the Division of Surgery at MD Anderson. Dr. Matin has an active clinical practice in minimally invasive treatment of Genitourinary Cancers, focusing on the entire spectrum of care for renal cell carcinoma (RCC) and upper urinary tract urothelial cancer (UTUC), and minimally invasive treatment of adrenal tumors. His primary research efforts are based on genomic characterization of UTUC and clinical research in UTUC and RCC. Neil Gross is Director of Clinical Research in the Department of Head and Neck Surgery at MD Anderson (USA). He holds a MD from Oregon Health and Science University. He has a strong clinical and research interest in squamous cell carcinoma of the head and neck (SCCHN) including oropharynx cancer. He has managed a range of observational and therapeutic clinical trials for patients with head and neck cancer. Dr. Gross’s research efforts continue to focus on the epidemiology of human papillomavirus (HPV)-associated cancers of the head and neck, development and validation of improved prognostic tools for head and neck cancer patients, the study of the molecular basis of carcinogenesis in humans and the application of novel molecular therapeutics in cutaneous SCCHN and transoral robotic surgery. Jesse Selber is the Director of Clinical Research and an Associate Professor in the Department of Plastic Surgery at MD Anderson (USA). He holds a MD from the University of Rochester School of Medicine and Dentistry. Research involves head and neck reconstruction, breast reconstruction, microsurgery, abdominal wall reconstruction, microsurgical training, robotic-assisted reconstructive surgery, and other areas. He also has an active robotic reconstructive surgery practice in which he developed and utilizes four different types of procedures. Dr. Selber has had over forty articles published in peer-reviewed journals and serves as a reviewer for several journals (i.e. Head and Neck Surgery, Annals of Plastic Surgery, etc.). Florence Zara is an associate professor since 2005 for computer graphics, animation and virtual reality at LIRIS, University of Lyon 1 (France). Before that, she defended her Ph.D. in Computer Sciences at Grenoble in 2003, combining high performance computing, physical modeling and Virtual Reality in the ID-IMAG laboratory and then, spent two years at LSIIT, Strasbourg, in 4D data visualization. Her research interest is focused on the realization of training simulators for medical gestures. Her expertise includes animation for computer graphics, topological and physical modeling of 3D deformable objects, parallel algorithms, biomechanical simulation of soft tissues, mechanical simulation of pregnant pelvic system, and the coupling of numerical simulations and haptic devices. Marc Garbey is Professor of Surgery and Scientific Director of the Center for Computational Surgery at Houston Methodist (USA). He holds a PhD in Mathematics and an Habilitation in applied mathematics. He joined Houston Methodist in 2015 as Scientific Director of the newly formed Center for Computational Surgery. During his time at University of Houston, Dr. Garbey served as the Director of Research Integration for the Houston Methodist Institute for Technology, Innovation & Education (MITIE). In his new role as the Scientific Director of the Center for Computational Surgery at Houston Methodist, Dr. Garbey will continue his work developing novel applications of computational science to advance the field of surgery. James Xia is Professor of Oral and Maxillofacial Surgery at Houston Methodist (USA). He holds a PhD in surgical planning and completed post-doctoral work in computer graphics and computer modeling. Dr. Xia is the Director of the Surgical Planning Laboratory with the Department of Oral and Maxillofacial Surgery at The Methodist Hospital. He is also an Associate Professor in the Department of Pediatric Surgery at the University of Texas –Houston Medical School. His work focuses on new methods to utilize advanced imaging, computer modeling, and surgical navigation to result in making major facial and skull surgeries safer, faster, and more successful. Clifton Fuller is the Associate Director of the MR Programmatic Development at the Department of Radiation Oncology, MD Anderson Cancer Center. 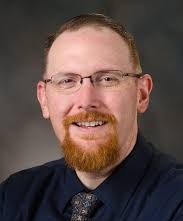 His research focuses on development of evidence-based “personalized radiotherapy” techniques by incorporation of novel imaging methodologies. To date, the bulk of his work has focused on improving multimodality (e.g. PET-CT, MRI, US) imaging for target delineation in the multi-institutional setting. Dimitris Visvikis is Director of Research with the National Institute of Health and Medical Research – INSERM (France) and co-director of the Medical Image Processing Lab in Brest. He holds a PhD from the University of London on PET detector development. His current research interests focus on improvement in PET/CT image quantitation for specific oncology applications, through the development of methodologies for detection and correction of respiratory motion, 4D PET image reconstruction, tumor radiomics multiparametric and multimodality modeling, as well as the development of computer assisted interventional radiotherapy and Monte Carlo based radiotherapy treatment dosimetry applications. John Hazle is Chairman and Professor at the Department of Imaging Physics, MD Anderson (USA). He holds a PhD in Biophysics. Dr. Hazle primary research interests are image-guided therapy, pre-clinical imaging and novel early detection technologies. Dr. Hazle has been the Director of the NCI funded Small Animal Cancer Imaging Research Facility for 15 years and was the Director of the NCI funded Experimental Cancer Imaging Research Program from 2008-2012. He has won numerous awards, most recently MD Anderson’s President’s Recognition for Faculty Excellence Award in 2014. Michel Dojat is Research Director at INSERM – Grenoble Institut des Neurosciences (France) and cofounder of Pixyl. He holds a PhD in computer science and an Habilitation in medical informatics. Dr. Dojat main work aims neuroinformatics to facilitate data and image processing sharing in neuroimaging. He also worked on AI-based systems for patient monitoring, temporal reasoning and models for medical reasoning. The application field is automatic control of therapy delivered to patients hospitalized in intensive care units. Stephen Wong is John S. Dunn Sr Presidential Distinguished Chair of Biomedical Engineering and Professor and Chair of Department of Systems Medicine and Bioengineering, Houston Methodist (USA). He holds a PhD from Lehigh University in computer sciences. Dr. Wong has more than twenty years of research and management experience in industry and academia, including Hewlett-Packard, AT&T Bell Laboratories, Philips Medical Systems, Charles Schwab, University of California at San Francisco and Harvard University. Dr. Wong’s research focuses on understanding health and disease from a systems perspective, combining both experimental and high throughput biology in order to generate cost-effective strategies and solutions for disease management. Recent researches also include digital health and drug discovery in Alzheimer’s and cancer. Amina Qutub is Associate Professor at the Department of Biomedical Engineering of UT San Antonio (USA). She holds a PhD in bioengineering. Initially holding a position in Rice University, now in UT San Antonio, Amina’s research focuses on the development of new computational methods and experimental analyses in order to uncover design principles of human cells during growth and regeneration. Her research is currently supported by NSF, NIH and the Cancer Prevention Research Institute of Texas. Matthew McGinley is an Assistant Professor in the Department of Neuroscience at Baylor College of Medicine, an Investigator in the Jan and Dan Duncan Neurological Research Institute (NRI), and an Adjunct Professor in the Department of Electrical and Computer Engineering at Rice University (USA). After completing undergraduate work in Mathematics, Physics, and Music at the University of Wisconsin, Madison, he received his master degree in Biomedical Engineering from the same institution, completed his PhD in Neuroscience at Oregon Health and Science University, and then conducted postdoctoral work in the Neuroscience Department at Yale University. The McGinley lab in the NRI seeks to understand how states of the brain, such as arousal and stress, affect cognition and to develop novel devices and computational approaches to measure and optimize brain states for enhanced cognition.